WUSF’s Lisa Peakes spoke with Huffman about the numbers and the science behind it. How does the heat this past month compare to past years? It was a hot month, not only here in Tampa, but across the entire state. More than a dozen cities, or reporting stations, had their hottest September on record. 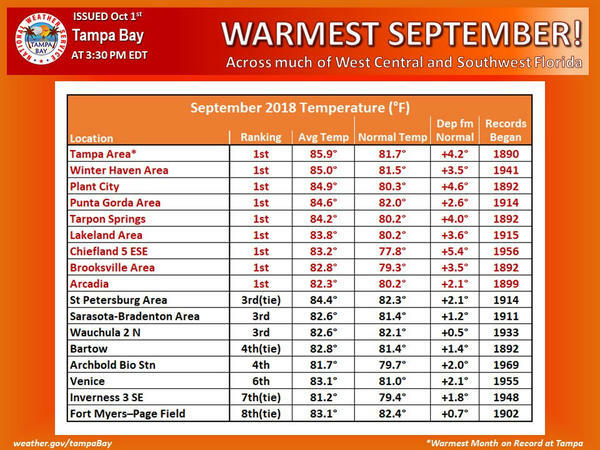 And even more unique, or astonishing, is here in Tampa, not only was it the hottest September since records began in 1890, it was the warmest month of all months since that time. A couple of things contributed to the hot weather. We had more of an offshore flow much of the month, coming in from the Atlantic. And there in West Central Florida, when that wind is coming all the way across the peninsula, it does not moderate the temperatures as much as it does when it comes off the Gulf. Also, we did not have the interruption of any tropical activity, so there weren't these days with lots of rain and cloud cover. 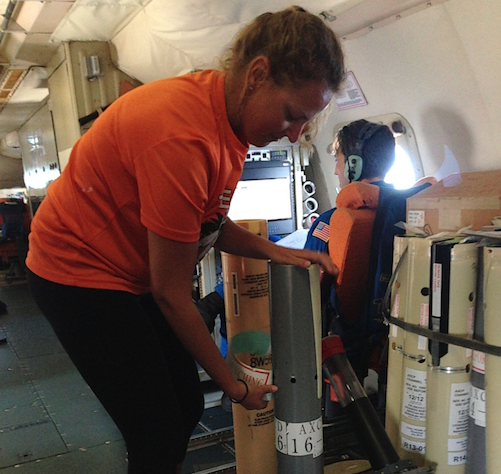 It was just a pattern that was persisting: a high pressure ridge overhead for many, many days. Some of the temperatures for St. Petersburg weren't as high as Tampa's. Why is there a difference? There's more of a water influence in St Petersburg. If you think about where it's located, it's on a peninsula and there's water on both sides. So when I mentioned that the wind had been flowing across the Atlantic, more often than the gulf this past month, that still means that wind came across the bay and tempered down the numbers just a bit for St Pete. It's because there's water on three sides of St. Petersburg and only water theoretically on one or one-and-a-half sides of Tampa. This was a weather pattern that was projected to occur in the latter part of the summer. It lingered a lot longer than I think some of the data suggested, but it's not uncommon to get a big ridge of high pressure in this part of the nation that does not want to move, and it's still theoretically holding strong here in to early October.